Calendar: «International Day of Yoga». «We have no option but to love all» illustrated quotation. Yoga, free quote pictures for Facebook, Twitter, LinkedIn, Reddit, Pinterest and other social networks. 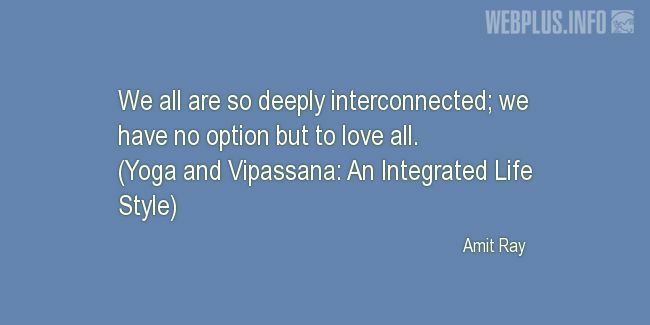 We all are so deeply interconnected; we have no option but to love all.